Chinese New Year is usually full of movies trying to cash in on the hype. This year, you have big names like 'From Vegas to Macau 3' and locally produced 'Long Long Time Ago' by Jack Neo. All of which seems great. 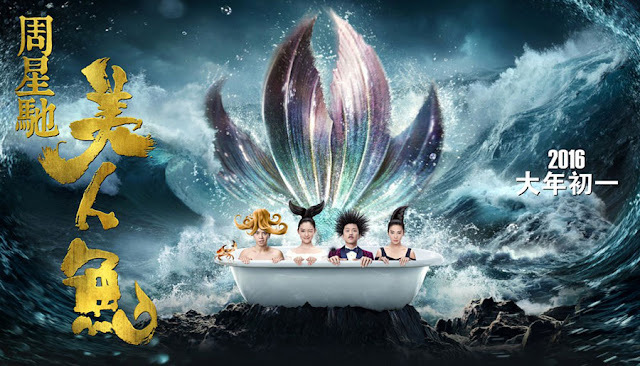 However, for me personally, one movie stood out from the rest, and that is Stephen Chow's Mermaid (美人鱼). I decided to watch the movie immediately when I saw the movie's trailer. Don't bother watching the trailer though. It's is just horrible and doesn't do any justice to the movie. It's been some time since Stephen Chow last made a movie. As one of his ardent fans, I always had this fantasy of wanting to see him act or make a final swan song movie before he officially retires and his last movie, CJ7, just didn't quite make it (it was still good though). Not to mention that the last Stephen Chow inspired film released last year, Lucky Star 2015 (吉星高照 2015), was a complete and utter disappointment. The fanboy in me just wanted to have one movie that would parallel the awesomeness of his classics like Journey to the West or Kungfu Hustle. While retaining many of his signature styles, Mermaid, however, took a very different path than the usual Stephen Chow movie. Not in a bad way, but just a style that reflects perhaps the evolving style and direction of Stephen Chow (I will call him SC from now on, for brevity purpose). One of the changes includes a heavier moral undertone to the film as compared to classic SC's movies that only aim to entertain. The movie started with grim footages of environmental pollution and dolphin killings, as if setting the theme of the entire movie. The storyline of the movie centered around a controversial environmental project, that aims to highlight issues such as material wealth at the cost of environmental pollution and "evil" human desires such as greed. It's interesting to see how SC is trying to explore deeper issues in this movie amidst all the comedy. Secondly, I also felt that the movie has a heavier China influence over it as compared to the Hong Kong movie style that I am used to. Maybe it's because I watched in Mandarin or it's the setting of the entire movie, but the movie felt more clean and polished as compared to the usual "messiness" in terms of colour and composition that defines Hong Kong movies. Not that it's bad, it's just that perhaps I need some getting used to it. Also, there is a heavier use of CGI effects in the movie, which could get quite excessive sometimes, not to mention that some are outright out of place. It's like SC got a new toy which is CGI, and decided to use as much possible in every scene. Dawn said that it could be he did it on purpose (the bad CGI effects) to be sarcastic, but I suppose that is a question that only he can answer. 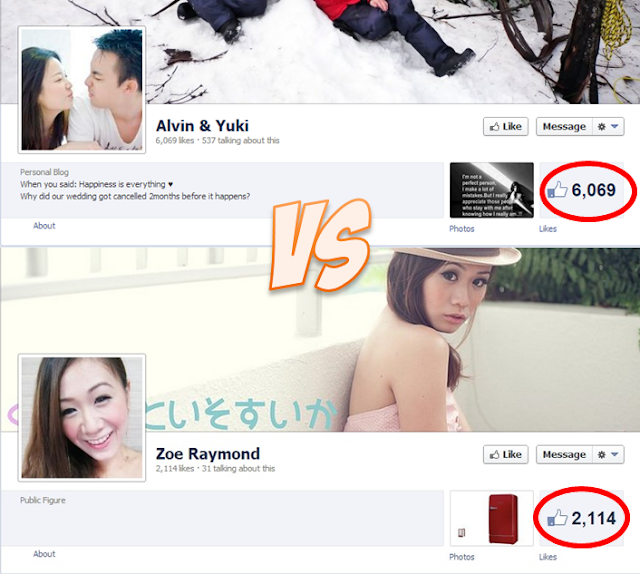 Fortunately, despite the negative points that I mentioned, the movie's numerous positive points far outshine the cons. Compared to many Chinese New Year movies out there that only aim to bring together big names to make a quick buck (72 Tenants of Prosperity, I Love Hong Kong, etc), Mermaid (美人鱼) manages to stitch a convincing story together about a mermaid trying to seduce a rich billionaire in an effort to kill him, despite how absurd that sounds. The story and romance flow seamlessly together, in a way that 90 minutes of the movie passed quickly, leaving me wanting to see more in the end. There's never a dull moment in the movie, filled with over-the-top SC style of humour that have the rest of the cinema just rolling in laughter. 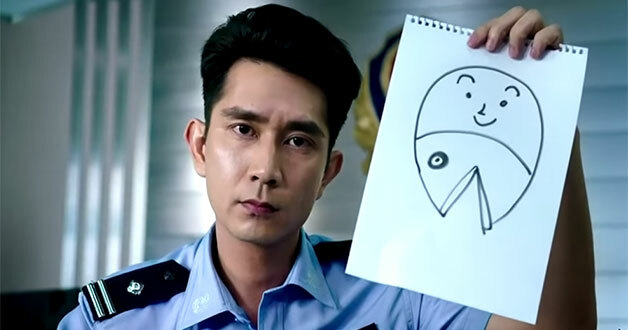 Scenes like the main actor trying to convince two policemen that mermaids exist or the octopusman having his tentacles mistaken for Japanese food were just hilarious, reminiscent of SC's style of comedy. His just has this ability to make viewers laugh until their stomach hurts. And despite having no SC presence on screen, the relatively new main cast managed to carry the whole show superbly from start to end, delivering all the iconic comedic scenes and even the serious scenes without a hitch. It's quite enjoyable to see how the multi-talented cast bring the story and comedy alive, which I guess was one of the reasons why SC didn't want to be on-screen. In closing, Mermaid (美人鱼) manages to be quite an entertaining movie, despite its tendency to rely CGI effects, by showcasing a talented cast in a captivating story, along with recognisable SC's brand of comedy. I don't know how the movie would fare against a bigger budget movie like Vegas to Macau 3, but what I do know that loyal Stephen Chow fans would definitely love this movie. A must watch this Chinese New Year. The only thing left now is for Stephen Chow to act one last time in a swan song movie, and I would be a really happy fanboy.